I don’t know what it was about this scene, but it felt oddly atmospheric: a closed down shop with the lights shining through the gauze of the rolled-down shutter, with (I assume) the remaining stock gathered at the back and the occasional staff member busying about. I don’t know what the shop used to be, or why it has closed down, or why there are still people and things in it despite it looking like it’s been shut for a while… but it is a little bit of a sad sight. Perhaps a little depressing for a Friday night?! 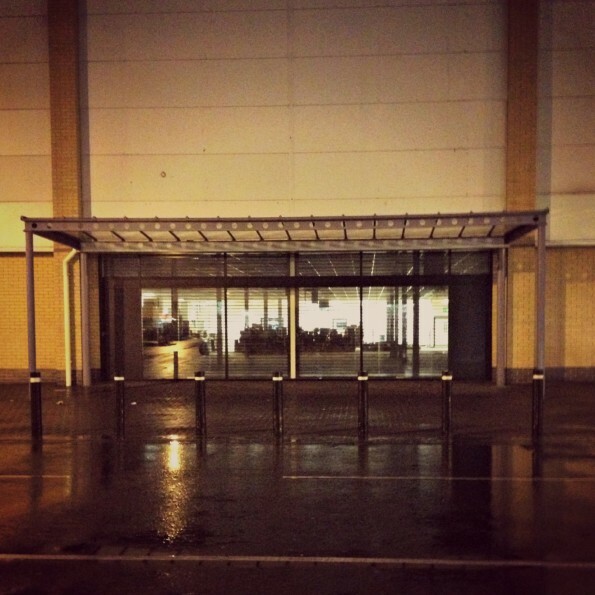 This 1,864th post was filed under: Photo-a-day 2012, Byker, Newcastle-upon-Tyne, Retail. Published on 8 September 2012. Tonight’s the Last Night of the Proms, so I thought it would be appropriate to feature something musical. 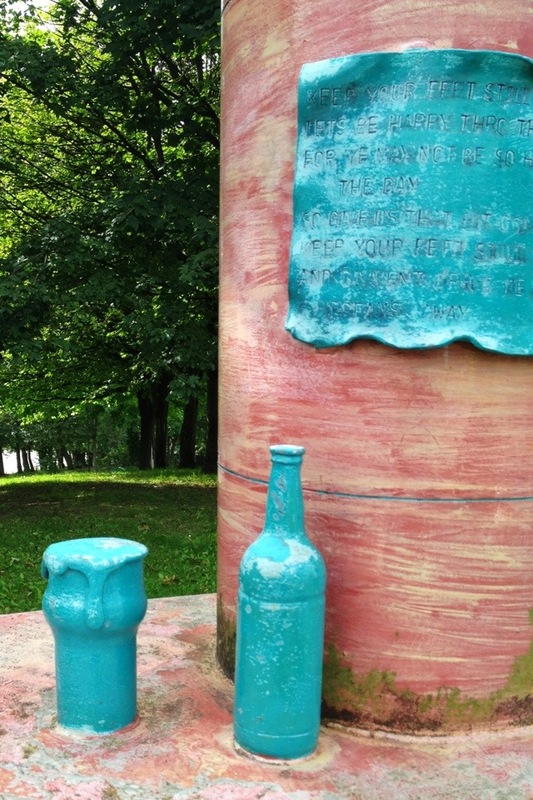 This is Roman Bar Column, one of a number of bottle-themed waymarkers in the Ouseburn Valley created by local Fine Art graduate Lewis Robinson. I say he’s a Fine Art graduate, but that was nearly a quarter of a century ago, and he’s done an awful lot since then. 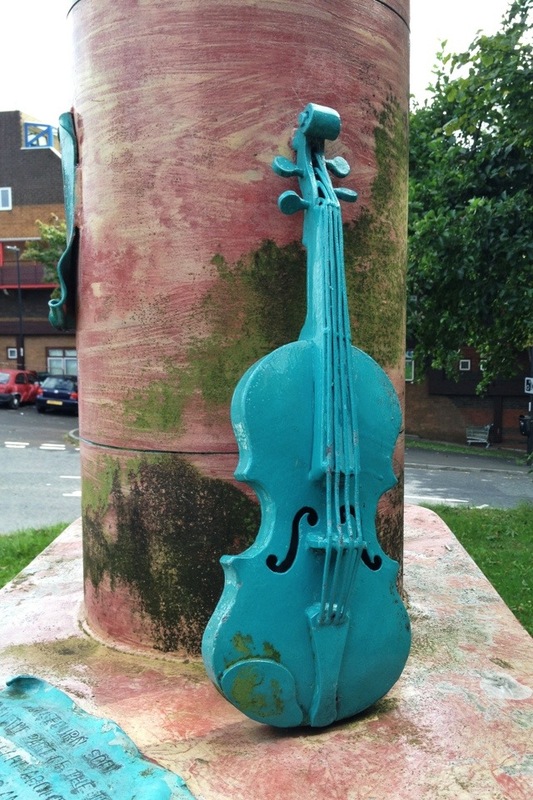 When the sculpture was first plonked here in 2002, this was a neat visual pun as it was opposite one of Byker’s most famous pubs, The Plough Inn, which dated back to the late 1800s. Unfortunately, this closed down a few years ago, and the building is now occupied by Albaik, a (highly rated) Lebonese restaurant. This rather ruins the gag. Now, given that I was at the top of the Ouseburn Valley, and given this blog’s history, how was I supposed to resist a picture of the Ouseburn? 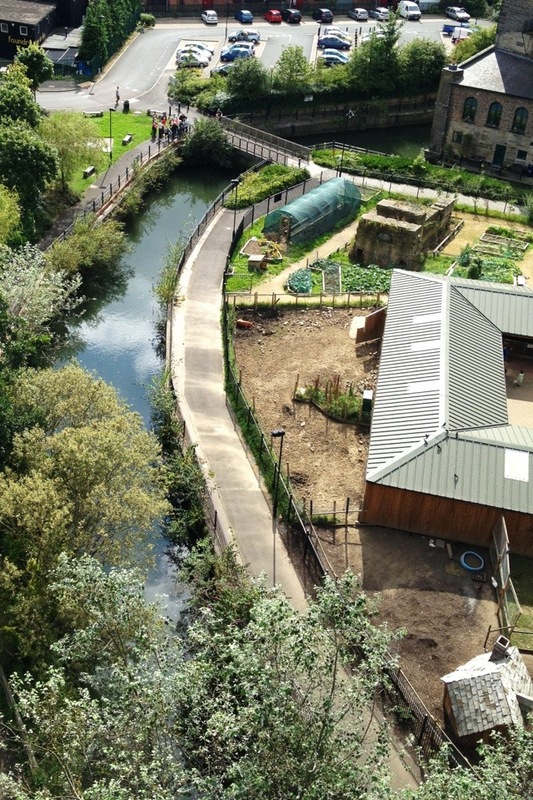 This was taken from the top of Byker Bridge, and shows the river curving round Ouseburn Farm. 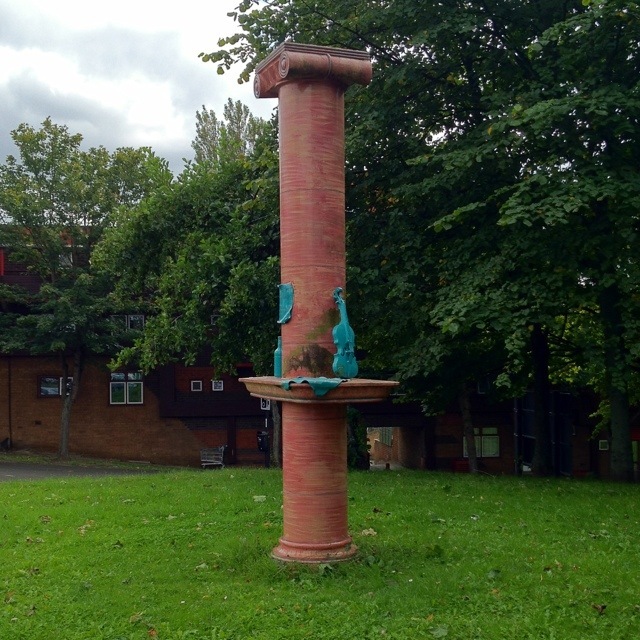 There’s more about Byker Bridge, and some photos from the bottom, back on day 224. This 1,802nd post was filed under: Photo-a-day 2012, Art, Byker, Newcastle-upon-Tyne, Ouseburn.